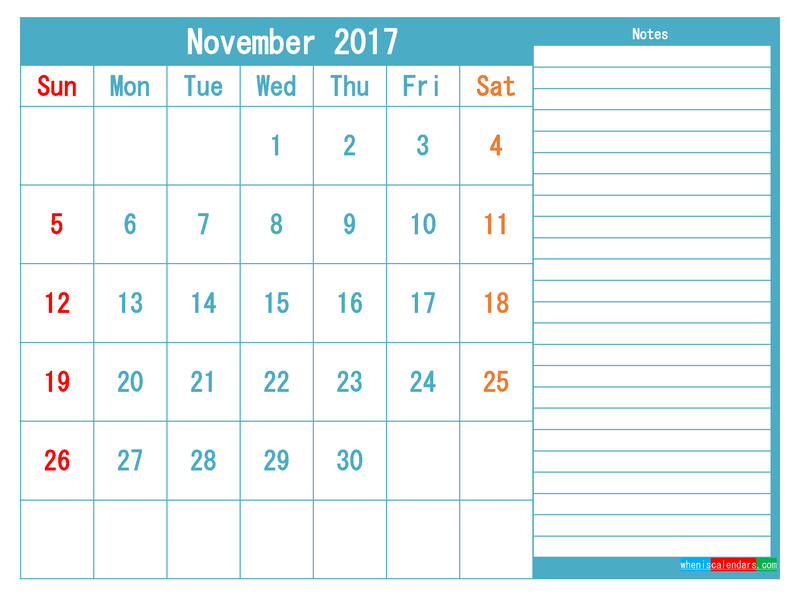 Free November 2017 Printable Calendar with week number, large space for notes in PDF and Image (PNG) format, 1 month in 1 page monthly calendar 2017. All calendar templates are free, blank, printable and fully editable! Click links below to download the November 2017 printable calendar as pdf or image format.